Heat shock protein 90 alpha antibody recognizes HSP 90 alpha, also known as HSP90, LPS-associated protein 2, LAP2, HSPAA1, or HSPN. Mouse anti Human heat shock protein 90 alpha antibody recognizes HSP90 alpha, also known as LPS-associated protein 2, LAP2, HSPAA1 and HSPN. The protein encoded by HSP90AA1 is an inducible molecular chaperone that functions as a homodimer. The encoded protein aids in the proper folding of specific target proteins by use of an ATPase activity that is modulated by co-chaperones. Two transcript variants encoding different isoforms have been found for HSP90AA1 (provided by RefSeq, Jan 2012). 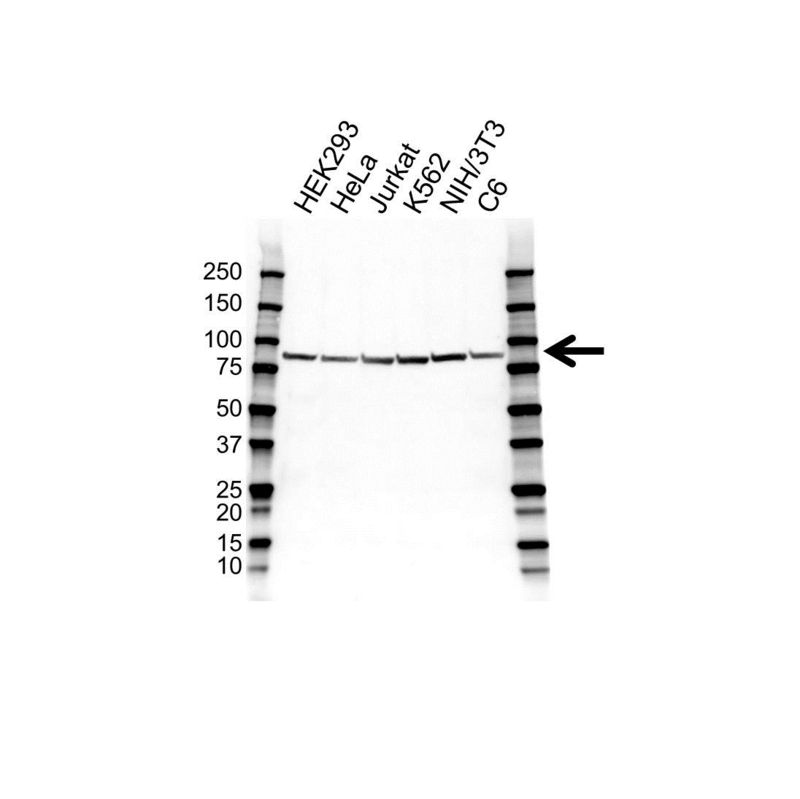 Mouse anti Human heat shock protein 90 alpha antibody detects a band of 90 kDa. The antibody has been extensively validated for western blotting using whole cell lysates.